The researchers employed a technique called “dynamical downscaling,” telescoping the model grid into smaller and smaller grid cells in order to capture fine-scale atmospheric processes affecting local climate. In the team’s final simulations, the Wasatch Range was modeled at a resolution of about 2.5 miles (4 km) to realistically capture impacts of the range’s slopes, canyons and peaks on the local precipitation pattern. 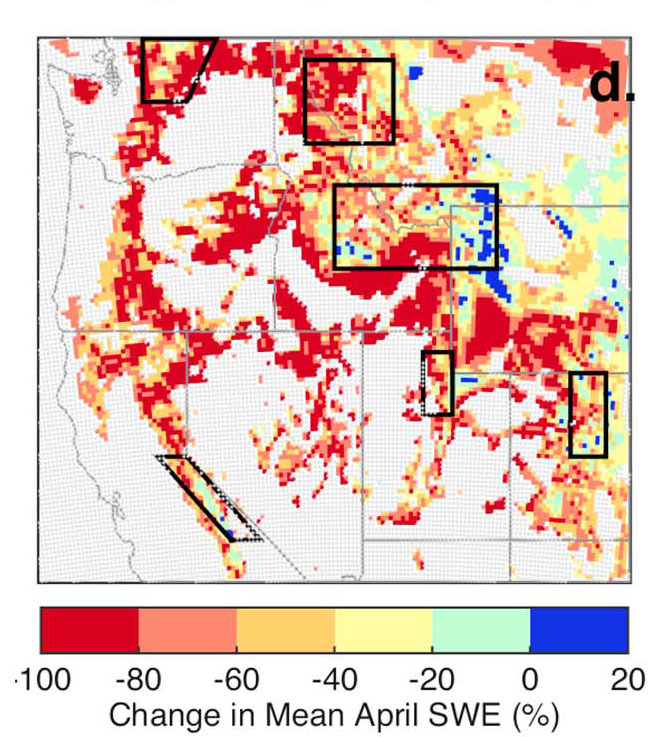 They further accounted for future temperature changes in the Great Salt Lake and evaporation from urban irrigation, both of which contribute moisture to the air. The team projected regional future climate forward to the year 2100 using a business-as-usual carbon emissions scenario that assumes greenhouse gas emissions will continue to increase at the same rate as today. 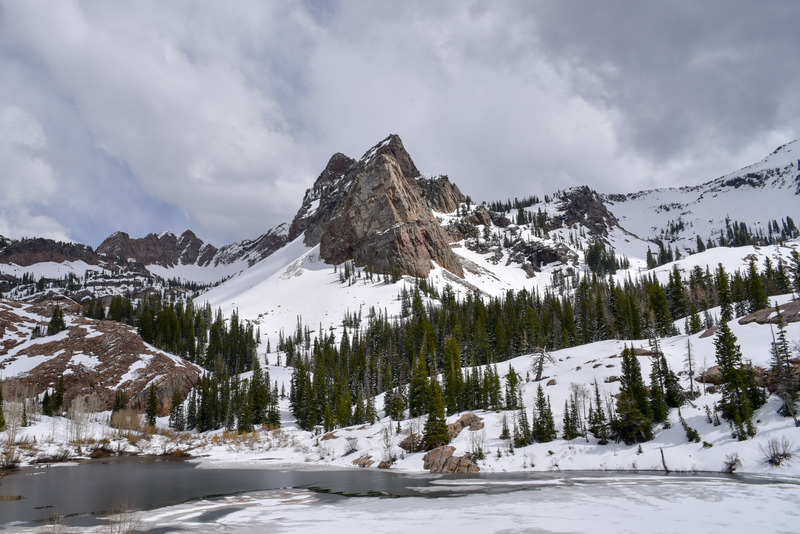 Sundial Peak, in the Wasatch Mountains, with Lake Blanche (elevation 8920 feet, 2718 meters) in the foreground, May 2016. Four Wasatch ski resorts, Solitude, Snowbird, Alta and Brighton, sit well above the end-of-century 7300 foot threshold. But the rest, including venues from the 2002 Winter Olympics, sit at base elevations between 5500 and 7200 feet. The peak elevations of all resorts except one, Nordic Valley, extend up above the 7300 foot future threshold. The full study, which has been accepted for publication and undergone full peer review but has not been through the copyediting, typesetting, pagination and proofreading process, can be found here. Paul Gabrielsen is a senior science writer at University Marketing and Communications. If you have an interesting story idea, email him at paul.gabrielsen@utah.edu.